Below are details of each award along with a full list of winners. In 1923 the VFA inaugurated an award for the best and fairest player of the season (a year before the VFL presented their first Brownlow Medal). 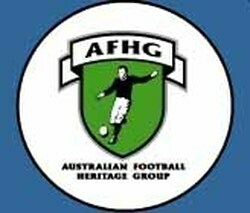 The award was initially named in honour of long-serving North Melbourne official, Alf Woodham and the trophy was donated each season by the proprietor of the VFA's matchday programme, the Football Recorder. In 1926 the Association renamed the award the Recorder Cup in recognition of this annual donation. From 1923 to 1932 the field umpire awarded two votes per match (one to the best player on each team) and the player with the most votes at the end of the season won the Cup. The most votes received under this system was 16 by Northcote's Bob C. Johnson in 1924. From 1933 to 1939 the field umpire awarded a single vote per match to the overall best player on the ground, and the player with the most best on ground votes for the season won the award . The most votes received under this system was 7 by Williamstown's Charles Stanbridge in 1933. In 1933 the Association introduced another best and fairest player award, the VFA Medal (also known as the Association Medal) which ran parallel to the Recorder Cup. Voting was conducted on a preferential basis with the field umpire and both goal umpires each awarding 3 votes per game: 2 votes for their best player of the match and 1 vote for their second preference. The maximum number of votes a player could receive per match was six and the highest number of votes ever received was 62 by Williamstown's Des Fothergill in 1941 (to fully understand how well Fothergill played that season it should be noted that no player had previously received over 39 votes). Note - some sources have incorrectly stated that the VFA Medal was not awarded in 1940/41 and list the Recorder Cup as the sole award but this was not the case. NOTE: Umpires did not vote on the Recorder Cup in 1940-41, it was automatically awarded to the player who won the VFA Medal. When the VFA resumed in 1945 after a two year hiatus due to World War II, the Association's best and fairest award was renamed in honour of John James Liston, who had served as Williamstown's president 1923-30 and as VFA president 1929-43. The voting system was the same used for the VFA Medal. Winners received a silver-plated trophy (see image below right) which was changed in 1961 to the medal that is still awarded today. In First Division players continued to receive the award named after J.J. Liston but instead of the silver plated trophy that was presented from 1945 to 1960, they were presented with a newly designed medal. The official name of the award remained the Liston Trophy but most sources, including the VFA's own matchday programme, the Football Recorder, referred to it as the Liston Medal (see image at right). In Second Division players received a new award named in honour of Jack Field, who served as VFA Treasurer for thirty-two years (1943-74). Although the winners were always presented with a medal, the award is sometimes referred to as the Field Trophy. The Field Medal has not been presented since 1988, the final season of divisional football. NOTE: an asterisk (*) indicates a player who originally lost on a countback then received a retrospective medal in 1989 (see below). The J.J. Liston Medal survived the demise of divisional football in 1988, and the change of governing bodies which resulted in the VFA being re-badged the VFL after the 1995 season. Today, it continues to be the most prized individual award in VFA-VFL football and is once again referred to by its traditional name, the J.J. Liston Trophy. NOTE - the voting system for the award had remained unchanged since the VFA Medal commenced in 1933 but was altered in 1981 due to the introduction of the two-field umpire system. Instead of 9 votes per game (3 from the field umpire, 3 each from the goal umpires) there were now six votes on offer (3 votes from each field umpire: 2 for their best-on-ground, 1 for the second best-on-ground). The new system lasted only a season, replaced in 1982 by the same system used for the Brownlow Medal with players receiving a single set of votes on a 3-2-1 basis, agreed upon on by all field umpires in charge of the match. This system remains in use today. During the VFA Medal era (1933-41) no tie-breaking system was in place, allowing multiple players to win the award if they received the same number of votes. A countback system was subsequently introduced for the Liston Trophy (1945-87) and the Field Medal (1961-87). If two or more players finished on the same number of votes, the player with the most best on grounds (also known as "first preferences") claimed the award. If this failed to break the deadlock, the players were declared joint winners (this occurred just once, when Brunswick's Barry Nolan and Preston's Trevor Durward tied for the Liston Trophy in 1978). From 1982 an additional tiebreaker was added with players who had received an equal number of best on ground votes, split by the number of second best-on-ground votes they received. Players would only be declared joint winners of the award if they could not be split after that stage. In 1988 the VFA Commission decided to scrap the countback system and this decision had an immediate effect with a tie that season between Coburg's Gary Sheldon and Williamstown's Brett McTaggart, followed by an unprecedented four-way tie in 1990. *Mitchell originally finished tied for second with Trent Cotchin (Richmond), four votes behind Essendon's Jobe Watson. However, Watson was later found guilty of breaching WADA's anti-doping code in the 2012 season (along with 33 of his teammates from that season), and in November 2016 was retrospectively ruled ineligible by the AFL Commission. Mitchell and Cotchin were subsequently announced as joint winners of the 2012 Brownlow Medal. NOTE - the triple-Brownlow Medallist, Bob Skilton came close to joining this trio, finishing 2nd in the 1972 Liston Medal while playing for Port Melbourne. As of 2018, no Liston Trophy winners have also won the best and fairest awards of the major state leagues in WA, Northern Tasmania, Queensland, NSW, ACT or the Northern Territory.